When is the Driver's Employer Responsible for My Pedestrian Accident Injuries? When a vehicle driver is at fault in causing a collision with a pedestrian he or she is legally responsible for the injuries and other losses the pedestrian suffers. But many times an at fault driver has little or no bodily injury liability insurance to pay the full value of the injured pedestrian's claim. Does the pedestrian have another source of recovery? You were struck by a commercial vehicle while walking across the intersection with the walk signal in the crosswalk. 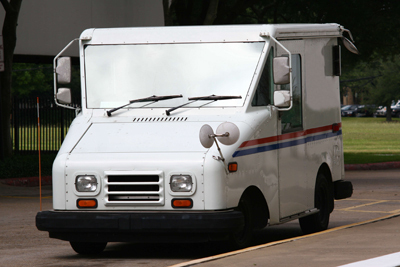 Some examples of common commercial vehicles would be a lawn service, a UPS or FedEx truck, a Publix truck or an office supply delivery vehicle. You were hit in a parking lot by an office employee running errands for their employer in their own vehicle. An electrician or Spectrum service truck backs over you while you're walking on a sidewalk. You were walking your dog and were hit by a U.S. Postal Service delivery truck. While stepping away from your car you are hit by someone driving a company owned vehicle was on their way to work. In Florida, the owner of a vehicle may be held liable for injuries caused by the negligence of the driver of that vehicle along with the driver. This means there may be more than one source of insurance coverage to compensate you for your injuries and other losses. Not everyone operating on behalf of a company is an employee for whom the company is automatically responsible. Many companies use independent contractors for a variety of work functions. They do this in order to shield themselves from liability in the event of a crash involving one of their drivers. It's important to investigate the relationship between the driver and the employer in order to determine whether they were an employee or independent contractor and whether they may be held responsible. Determining who is legally responsible for your injury from a pedestrian accident is not always as simple as it may appear. Many times there are obstacles that can make it difficult to receive the compensation you deserve. It is important for you to consult with an experienced Clearwater pedestrian injury attorney who can help ensure your legal rights are protected. Your attorney must also have experience in properly documenting your injuries, making sure appropriate medical treatment is received, handling the communication with the insurance company for the driver and employer and properly evaluating and negotiating your claim on your behalf. Our clients constantly remind us how relieved they are when they turn the responsibility of dealing with the other party's insurance company over to us. This allows you to focus on your recovery and dealing with insurance companies with us.